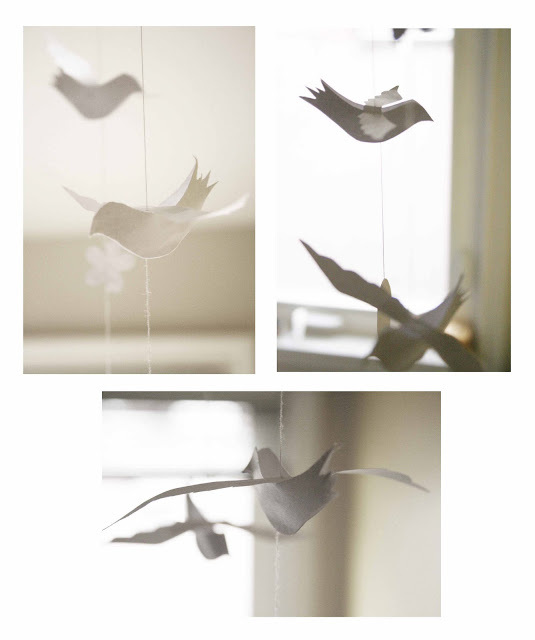 This is another mobile I made just because I felt like having birds hanging from my ceiling. This is probably the most simple project I've posted so far - the birds are cut out of regular white paper and attached to a white thread. I also cut out a few circles and flowers for variety.